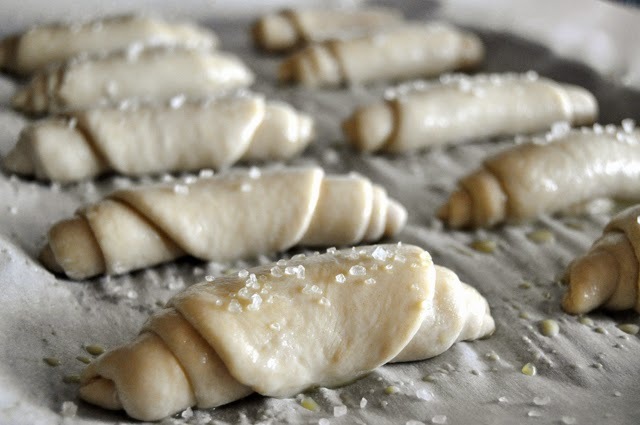 Like you needed another addicting carb to stuff your mouth with, right? 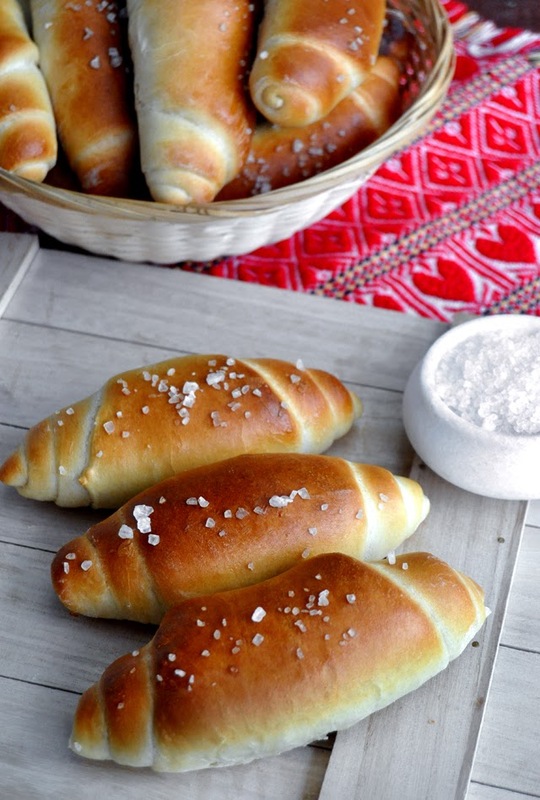 Sorry, you just gotta try making these, you will feel so much like a superhero when you put a basket of these hot, buttery, salty buns in front of your family, you might as well wear a cape. These buns are called 'Slanci' in Croatia and there is a variety of it on every street corner there. Literally, because there is a bakery on every street corner. We love our breads and our breads love us right back. It's a divine relationship. 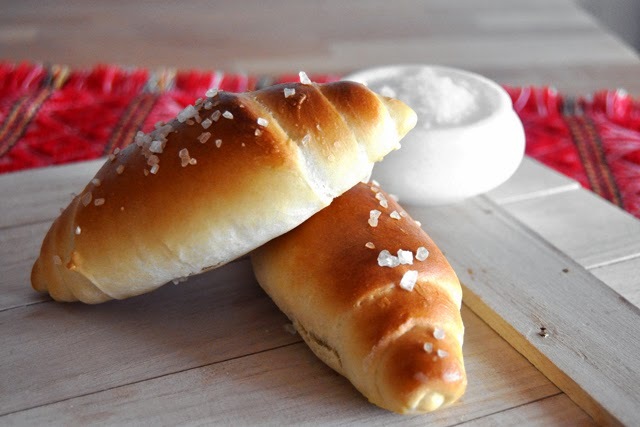 These little beauties are delicious on their own, but sometimes if I'm making these for a snack or a road trip I will fill them with cheese and ham. Ah-maaaziiiiiing! It's a great finger-car snack, much better than chips, that finds it's way into our car this way or the other every single road trip we take. Melt the butter and mix it with the water and the milk. Mix all of the dry ingredients and then start adding the wet ingredients to them while mixing with the bread attachment in a stand up kitchen mixer. 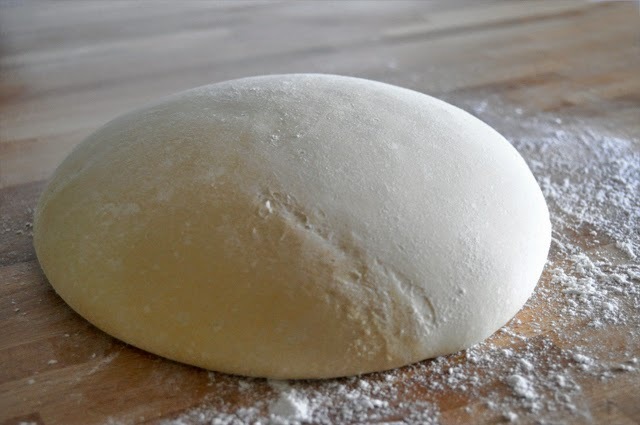 If needed add more flour or milk and mix for a few minutes, you are looking to get a nice smooth and soft dough. Flour the surface you will work on and shape the dough into a ball and let rest covered with plastic wrap until doubled in size, for about 30 minutes. 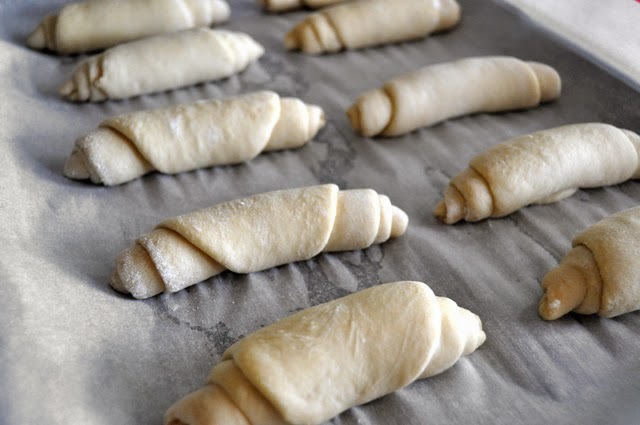 Re-knead the dough for a minute and then form a long roll and cut into 25 pieces. Shape each into a ball and while you are working with one keep the rest covered. 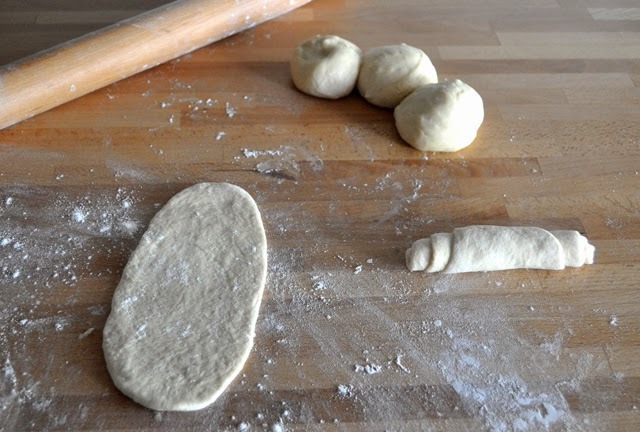 Roll each dough ball into an oval and then shape into the little bun like pictured bellow. Arrange the buns on a greased or lined pan and then brush with egg was and sprinkle with some sea salt. :et the buns rest while you heat up the oven to 430 F then bake them for about 15 minutes. It is important for them to get that nice golden brown color but also that you don't over bake them because they will dry out and lose their softness. Nice recipe.Thank you for sharing this tasty recipe of salty butter bun.It looks so delicious.I also try to make this in my home.All the readers will like this recipe.I read full content and i can follow all the information provided here.This article helped me in a great extent.This is really interesting to read this.Visit essay writing service to get more details.